During the purchase of parts and components of my current build I realized my MOBO does not have a USB 3.0 header on it. My case has several USB 3.0 ports on top. But unfortunetly I cannot use them unless I connect to a 3.0 header. My MOBO does have 2 3,0 ports in back. But it would be more practical to use the ones in front ( as well ). So that leaves me to getting a USB 3.0 add-on card right? I've noticed some plug directly into the MOBO and thats it. I've also noticed some plug into the MOBO but also need a molex connection for power. Can anyone help elaborate on this for me. 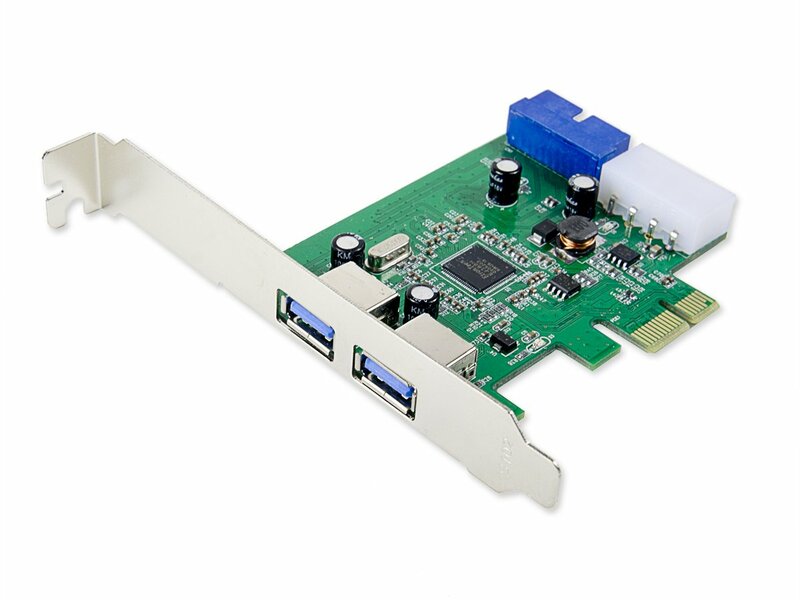 Or if you have any knowledge or experience with USB 3.0 cards I would appreciate it. *I'd like to avoid needing to install any software. These are some I've found. Has header. USB 3.0 header. 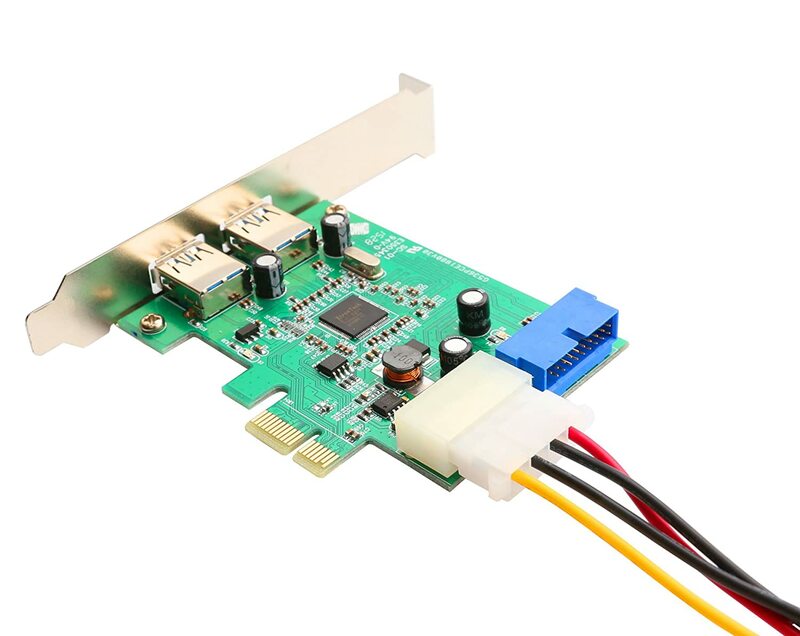 Sata connection. And molex? Are these examples of what I'm looking for? 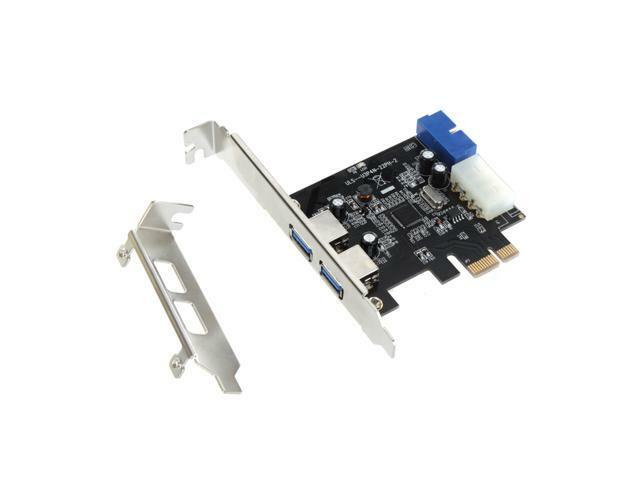 *But again the molex or sata connection on some of these cards confuses me? 1. Does a molex or Sata connection need to be connected as well as plugging into the MOBO? I'm not sure what's the question, but the first two pictures are PCI extensions, and they are not what you are looking for. Those will give you more back ports. Now the third one does look like it could be useful to you. That one looks like a power adapter, from your PSU you plug that into a normal power connector and then use it to power the thing. Although the third one looks like it uses an M.2 port, you should check if your board has that. From what I can see the 1st 2 pictures DO have USB 3.0 headers on the the back side of the card. 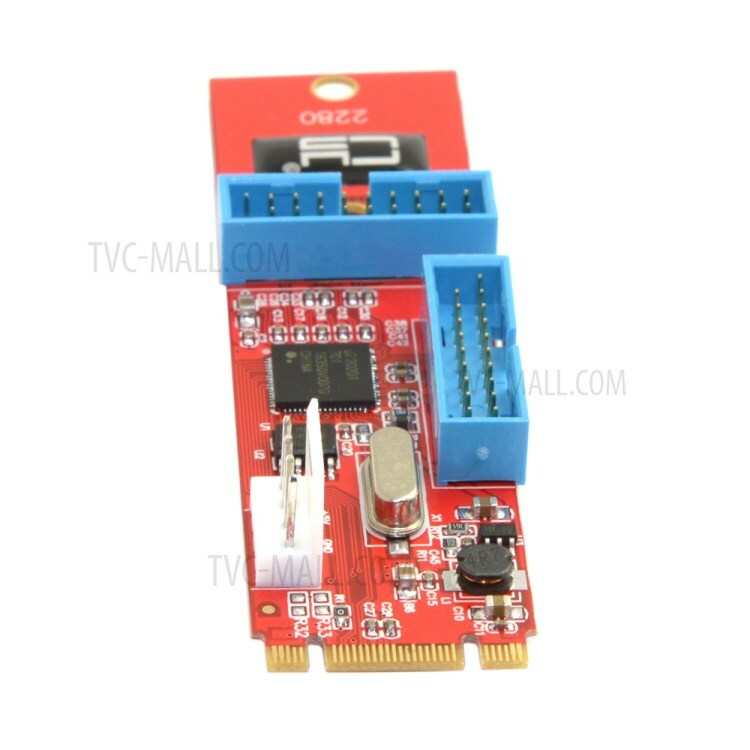 I saw a video somewhere ( I will see if I can find it ) that said USB expansion cards can be connected into PCI-E slots. I read somewhere just a couple a minute ago that the moles connection helps give enough power to the card to maximize the 3.0 speed. And the USB header is just that. It will allow abUSB 3.0 connection from into the case. Yeah that's what I said. The first two use PCIe, but give you only more USB ports in the back of your computer. The other one does not. It's an M.2, and can be used to connect the front USB connectors, so if you have to decide between those three, the third one is the one you want, or something like that. Although I'm not seeing the third picture now. Did you delete it? I ended up ordering this. I like yours. But I've read sometimes cards that don't have a bracket or attach to the back of the case can sag. Plus I don't see a power connection for molex. And I've read ideally you want molex power to the card to ensure adequate 3.0 speeds. Oh, you know, I was wrong. The first ones have connectors for the front USB ports too. My bad. The ons you ordered will do just fine.